The Kaw Housing Authority was established October 17th, 1977, to serve low-income Native Americans with affordable and adequate housing. We’ve helped numerous Native American families purchase their homes in the areas of Newkirk, Kaw City, Ponca City, Blackwell and Braman, Oklahoma. We currently offer a Homeownership Program. Homeowners will be able to purchase homes in our jurisdictional area at 0% interest based upon their family’s total gross income. 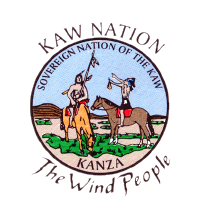 Kaw tribal members do have preference. Housing Application for the Low Rent, NAHASDA, and Mutual Help Housing Programs for the Housing Authority of the Kaw Tribe. Down Payment Assistance is available to Kaw tribal members only, for a onetime payment of $2,500 that will be applied to the closing cost. See Down Payment Assistance application for more details. Maintenance Policy for the Low Rent, NAHASDA, and Mutual Help Housing Programs for the Housing Authority of the Kaw Tribe. Storm Shelter Policy – This program is designed to provide safe shelter and protection from violent storms, tornados, and unforseen disasters for Kaw Housing Authority clients and their families. per lifetime, as long as the funding is available. The Summer Youth Program is a program to assist Native youth living in Kaw Housing Authority’s Homeownership, Mutual Help or Rental homes to afford summer sport programs, whom are income eligible, based on the income guidelines currently in effect for home ownership. MEPA Program is for anyone who currently lives in the Mutual Help Homes. They may request to use these funds to make improvements to their home APPROVED by the board. They must follow and adhere to the policy as there are stipulations. Call (580)-362-6264 and ask for to Debbie Lewman (Executive Director) or Misty Ball (Executive Assistant). If you have any questions, please feel free to give us a call at 580-362-6264 or email to kawhousing@yahoo.com.